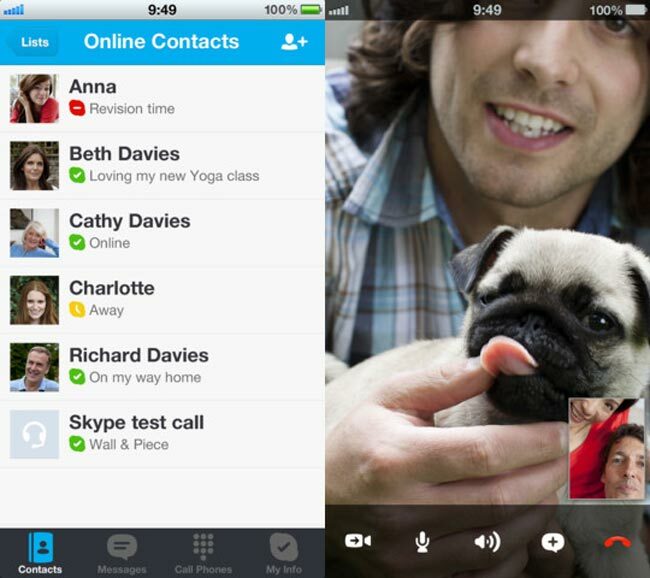 Skype have updated their Skype for Apple’s iOS app, and the new version adds in support for Apple’s larger 4 inch display on the iPhone 5, the latest version of Skype for iOS will work on devices running iOS 4.3 and above. As well as adding in support for Apple’s new iPhone 5, the latest version of the Skype for iOS app comes with a number of unspecified bug fixes. The new version of Skype for iOS is version 4.1.2 and it is available as a free download from iTunes, and the app will work with the iPhone 3GS, iPhone 4 and 4S, iPhone 5 and the iPad and iPod Touch.